General Description: Camelot Apts in Stalis has 12 rooms, spread over 1 floor. The hotel is located 100 m from the sandy beach. To make your stay more comfortable a reception is available. The staff in this 1 storey hotel speaks German and English. A playground for children is available. The hotel features a swimming pool with an integrated children's pool. Sunshades and sunbeds are available for an additional fee at the beach and free of charge at the pool. 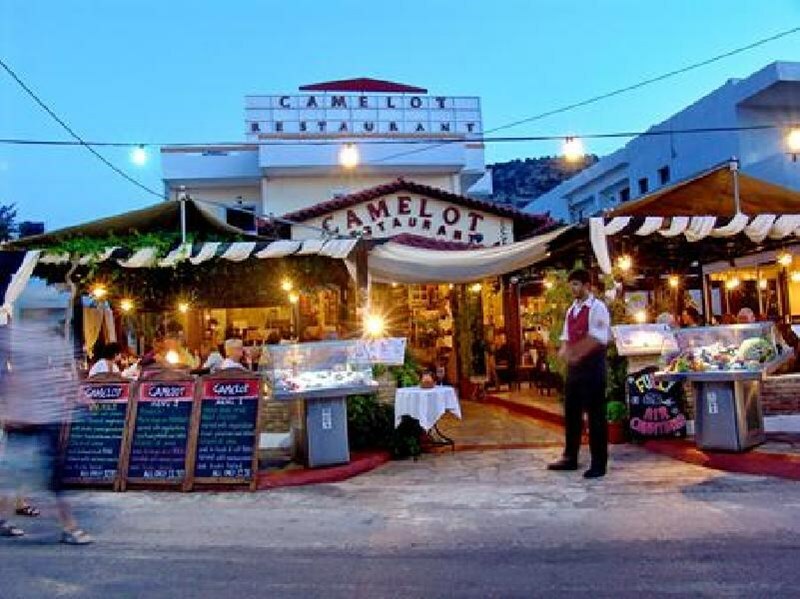 The hotel is within easy reach of bus stops, tourist information, disco, supermarkets and bars and restaurants. Accessible from the hotel: airport HER (35 km) and horse riding (5 km). For your entertainment the hotel features a TV lounge. Vehicles may be parked in the parking lot. Amenities: For convenience the following services are offered: room service, maid service, wake-up service, ironing service and laundry service. Internet access is provided at internet terminals and at wifi-hotspots. Reception hours: 08:00 - 00:00.